As an online seller, at some point you will likely have slow moving inventory on hand. When inventory doesn’t move, there are associated carrying costs and it ties up valuable capital and resources that could otherwise be used to invest in your business. So the question is, how do you define what is actually “slow moving,” and then what do you do about it? Let’s start with a definition….. Slow moving inventory is defined as stock keeping units (SKUs) that have not shipped in a certain amount of time, such as 90 or 180 days, and merchandise that has a low turn rate relative to the quantity on hand. As a general rule, some companies define SMI as having less than 6 months of demand for any given item over a period of 12 months. While this can be one way to define slow moving inventory, it’s really the definition of being overstocked, and it doesn’t take into account the frequency of shipment. Other retailers look at stock turns when defining SMI. This isn’t necessarily a bad strategy, as a higher stock turn ratio is generally better, but it’s important to account for order quantity. 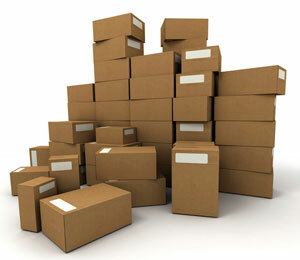 When ordering new inventory, as quantity increases, the cost per unit generally decreases. When ordering in large quantities, however, it will have the effect of slowing stock turns. So, it’s important to account for per unit purchasing costs when using stock turns to define slow moving inventory, and it’s unreasonable to expect high stock turns when ordering in large quantities to minimize your per unit cost. The method I like most for defining slow moving inventory is looking at the frequency of shipment. For example, if you ship zero items of a particular stock keeping unit (SKU) over a certain period of time, such as 90 or 120 days, then it is considered slow moving. The ratio of shipped items to days may vary. For instance, it may be that 10 items or less shipped over a 60 day period defines slow moving inventory. It is up to the merchant to determine the thresholds, but by looking at frequency of shipment, it allows sellers to truly identify inventory that is slow moving, as opposed to inventory that may simply be overstocked or which turns slow due to large order quantities. Once you’ve determined how you will define SMI, you can then set up processes and procedures for monitoring it. Then, the next step is figuring out what to do with it. What to Do with Slow Moving Inventory? Slow moving inventory takes up valuable warehouse space and ties up capital. Therefore, it’s important for any online seller to come up with a plan of attack for dealing with merchandise that is slow moving. The most common method for dealing with it is to slash the price. Before you do that, though, I recommend you evaluate your marketing efforts, which may be a big part of the reason that the merchandise isn’t selling. Here are a few things to look at before you start cutting prices….. The first thing to look at is your website. Can website visitors even find the items? With big ecommerce catalogs, it’s not uncommon that certain items don’t sell simply because they can’t be easily found by using the site’s main navigation, or they’re buried well below other products. Make sure that all items can be easily found, including through your internal site search tool, and try moving any slow moving items to the forefront on category pages, or even as a featured product on your homepage. When visitors do find the items on your website, how do they look? Product imagery can make or break a sale, so compare the images of slow moving inventory to those of more popular items. Is the image quality comparable? How about the number of images and views of the product? Same thing with your product descriptions…..how do those look? The product description can be another big selling point. You may find that the product descriptions for SMI are lacking detail and simply do not provide buyers with enough information. This may include the features of the product, size, colors, material, ratings/reviews, shipping details, etc. How do you rank in search results for keywords related to your slow moving items? Perhaps your category and product details pages need to be better optimized. If you advertise within paid search results, reevaluate your ad groups to determine if there are issues surrounding impression share or click-thru rate with keywords and ads related to slow moving inventory. Personalization sells. So one way to get rid of slow moving inventory is to push it in front of customers that are most likely to buy it. For example, if you sell DVDs and you have a bunch of copies of True Grit that aren’t moving, find out who has purchased Westerns from you in the past. If your database can tell you which customers like John Wayne movies, even better! The marketing can come in the form of personalized emails, or, if you have this level of sophistication, you can also personalize your website for repeat visitors and customers. Once you’ve reevaluated your marketing efforts and made changes, you can then take a look at your website and sales analytics data to see what, if any, impact those changes had. If you find that those marketing changes had little to no impact, it may then be time to cut the price and run promotions for your slow moving inventory. Here are a few options…..
Online shoppers love bargains, so one quick an easy thing to do is to simply put the item on sale and see if it starts moving. You could have a “Clearance” section on your website to promote sale items for an extended period of time, and let shoppers know they’re getting a bargain. Another option for promoting sale items is to have “Daily Deals.” These deals can have their own category on your website and be promoted in emails. “Weekly Deals” can also be a nice way to extend the offer if you have a lot of slow moving inventory. Personally, as a consumer, I like daily or weekly deals over “clearance” items, as I feel I’m actually getting a deal on an item that may still be a hot commodity….as opposed to buying a cheap “clearance” item that nobody wants. And sure, I know that may not be the case, but a lot of it is marketing and presentation. You could also include slow moving products as “bonus” items in customer orders. This may not be the most ideal option for higher value merchandise, or items that are heavy and will add significantly to your shipping costs, but for lower value and smaller items, this can be a nice way to thank your customers, and even introduce them to new products that could help encourage repeat purchases. As a sort of “last resort,” some sellers turn to daily deal companies, such as Groupon, to help offload slow moving inventory. When you take this approach, however, don’t expect to make much money. In fact, some merchants even take a loss. But, it is an acceptable loss for them because the hit they took on that inventory wasn’t as big as it may have otherwise been if they had to simply discard the SMI, and they take into account the benefit of freeing up more capital and shelf space in their warehouse. Selling your slow moving inventory to a liquidator is also a last ditch option. With this approach, the benefit is that you’ll be able to offload a large chunk of slow moving inventory all at once, but at a reduced price. Of course, rather than having to worry about getting rid of slow moving inventory, the best solution is to never have to deal with it. Much easier said than done, though. When purchasing new items for the first time, there are typically unknowns relative to consumer demand, and it takes time to determine the economic order quantity (EOQ), which is the ideal order quantity that minimizes a seller’s overall costs associated with purchasing, delivering and carrying stock. Even with new stock, there are still ways that merchants can estimate what will be an EOQ. One way is to make order demand assumptions based on similar items already offered, as well as your marketing plans for those new items. It’s also important to look at the annual carrying cost per unit, and weigh that against the per unit purchase price based on different order quantities. What you may find is that the carrying costs outweigh the higher per unit purchase price, meaning that it will be optimal to order in a smaller quantity, at least before demand is confirmed. Should I Keep at Least a Couple of Items On Hand? When sellers offload slow moving inventory, it’s not uncommon that they want to keep a handful of items on hand so that they can continue to offer them on their website. There are a few things to consider with this…..
1. While keeping a few items of any one SKU on hand may not take up much warehouse space, if you have hundreds or thousands of slow moving items, then collectively, they will. 2. Just like your warehouse space, sellers should consider their websites and catalogs as prime real estate, meaning that you don’t want to clog it up with too many unpopular items. If you do keep a handful of slow moving inventory items on hand, make sure that customers are not able to purchase more items than you actually have remaining in stock. 3. Consider your marketing and analytics. For example, let’s say you sell running gear and you have just one pair of running gloves. Those gloves never sell, and you’ve liquidated most of them, but your website positions very well in organic search results for the term “running gloves.” So while the gloves themselves aren’t selling, they are helping to drive traffic to your website and lead to sales for other products. If you liquidated all of the gloves, you could no longer have the corresponding category and product pages, and that traffic may go away. There can be pros and cons to keeping a handful of items on hand, and ultimately that decision should be made based on some careful analysis. In general, slow moving inventory is a detriment to sellers, and, depending on the size of your catalog and order volumes, it can be a big benefit to sellers to have someone internally that is solely dedicated to optimizing inventory management and reaching economic order quantities across the board. For online sellers, slow moving inventory (SMI) can tie up capital and add significantly to carrying costs. Learn how to define SMI and how to deal with it. Very informative, thank you. I enjoyed reading that. Any information that helps in inventory management or sells… Is appreciated. Thanks Again. Thanks, Ericka, glad to hear it was helpful! Intersting piece, lot of our Ebay sellers are finding SMI ids hampering their growth. Will be sending this on. Thanks for the comment, Andy. Hopefully it provides some value to your eBay sellers. Very good material, help us in inventory management. I completely agree with you. I think that bundling is one of the popular ways to deal with slow mowing inventory. One good way of using bundles is to pair slow mowing inventory with products that are in high demand. Putting together items can also help to make the deal more attractive. There are two types of inventory that protect supply – cycle stock and safety stock. Of course, there are other types of inventory like goods in transit, work in progress, obsolete etc, but these are all a consequence of an activity and not specifically held to protect supply.